Celebrating the 400th year of Shakespeare, I visited for the first time, Stratford Upon Avon. Visiting the house where the world’s most famous playwright was born and grew up, I thought I would share this with you. 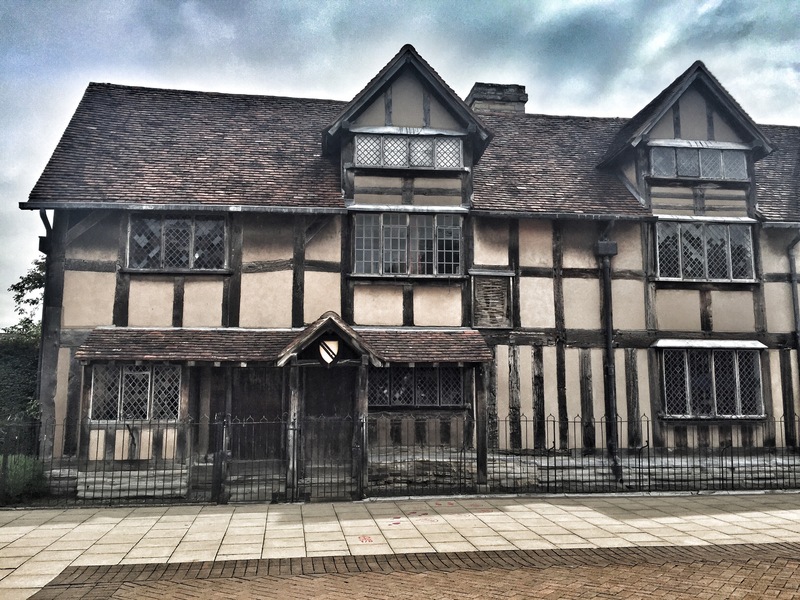 Shakespeare’s Birthplace on Henley Street has been welcoming visitors for over 250 years. This is the house where William Shakespeare was born, grew up and spent the first five years of married life to Anne Hathaway. You are able to visit each room to see where he played as a child, how his father John, earned his living as a glove maker and explore its outstanding gardens. John and Mary Shakespeare’s parents were wealthy enough to own the largest house on Henley Street. His father lived and worked in this house for 50 years. William Shakespeare was the third child born out of eight children and due to his father John becoming the Mayor of Stratford, the highest elective office in the town, William was privileged enough to have attended school to begin his education. After John Shakespeare’s death, William inherited the house. Part of the property was leased and became an inn called The Maidenhead and later the Swan and Maidenhead. When Shakespeare died he left the house to his eldest daughter Susanna, and when she died she left it to her only child, Elizabeth. Although she married twice, Elizabeth had no children, so when she died the house fell to a descendant of Joan Hart, one of Shakespeare’s sisters. The house was owned by the Hart family until the late 18th century where it then went up for sale and was purchased by the Shakespeare Birthplace Trust. For many visitors, this house is a shrine. It shares modern Shakespeare with classic and has fascinating pieces from Shakespeare’s family life. You travel on a journey back in time with tales and facts by costumed guides and can even enjoy live performances with resident actors. We are able to watch visiting French students perform their interpretation of Shakespeare, I hope next time I am able to see the actors perform. You can purchase an entry ticket for five of Shakespeare’s houses as well as his grave for around £35. This also included Anne Hathaway’s Cottage & Gardens and Mary Arden’s Farm. It’s valid for one year, which is good as we didn’t manage to get around all of the sites. A 15-minute walk will take you to Shakespeare’s grave, not to disillusion you but you are asked to pay a donation again for seeing this even though you have paid previously and no disrespect but some of the facts in the church itself has no relevance to Shakespeare. It felt a little bit like they were cashing in on poor old Shakespeare. I am looking forward to going back to Stratford Upon Avon to finish seeing all the other houses such as Ann Hathaway’s house. I loved learning all about Shakespeare and his family life.